Elaine F. Bryant Powell, daughter of the late Acie L. Bryant and Lucy Boddie Bryant was born on April 19, 1937 in New Rochelle, New York. 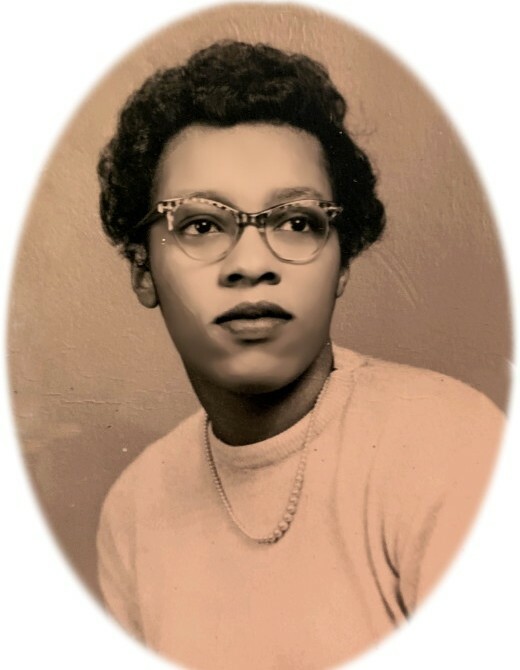 She transitioned from this life to her eternal home on April 13, 2019 at Duke University Hospital in Durham, North Carolina. Elaine was educated in the Westchester County Public School System of New York and was a graduate of New Rochelle High School. On March 7, 1965, she was united in holy matrimony to James R. Powell in Brooklyn, New York and three children were lovingly reared during this union. Elaine was a devoted wife, mother, caregiver, grandmother, and great grandmother. The family made several moves due to James’ Army career but after his discharge in 1971, the family settled in the District of Columbia. She was employed with King's Waterproofing from 1972 to 1981 as an administrative assistant. Elaine also worked for three years in administration for The State Personnel Department in Washington, District of Columbia before retiring and moving to North Carolina in 1984. Upon moving to North Carolina, she joined in fellowship with Galatia AME Church in Nashville, North Carolina. She would later move her membership to Mount Vernon Baptist Church. Elaine had a quiet nature and enjoyed cooking, sewing and taking care of her indoor plants. She also had a special fondness for dogs. She was preceded in death by her husband, James R. Powell and a daughter, Anita Elaine Taylor. Elaine leaves to cherish her memory: one son, Ronnie James Taylor of Nashville, North Carolina; a stepson, Bobby White of Tacoma, Washington; one aunt, Bettie O. King of Washington, District of Columbia; one sister-in-law, Lillie Knight of Rocky Mount, North Carolina; five grandchildren, Dominic Levar Williams, Bobby Daniel Wuchter, Lisa Jean Wuchter, Ronnie James Taylor, Jr. and Leyla Alia Dale; three great grandchildren, Allana Williams, Khloe E. Wuchter and Kylie A. Wuchter; a host of cousins, many other relatives and friends.